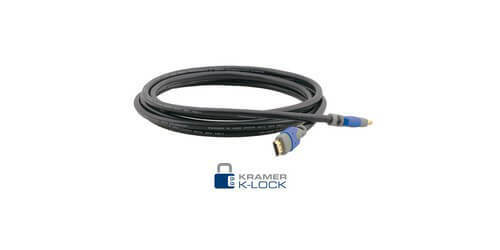 The C-HM/HM/PRO-65 by KRAMER is a High-Speed HDMI Cable with Ethernet. Supporting resolutions up to 1080p60, 12-bit, 3D. 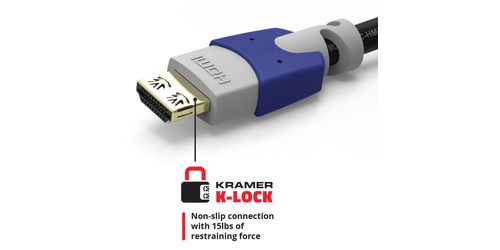 This cable was created for advanced equipment that requires high-speed connections, up to 4.96Gbps, to ensure a HD experience for a top notch audio and visual experience. The Deep Color depths support 24−bit, 30−bit, 36−bit and 48−bit (RGB or YCbCr) which are used best for multimedia applications or home cinema and surround sound systems. Coupled with a Multi-Channel audio which supports audio stream for external decoding by AV receivers and automatic audio syncing capabilities. 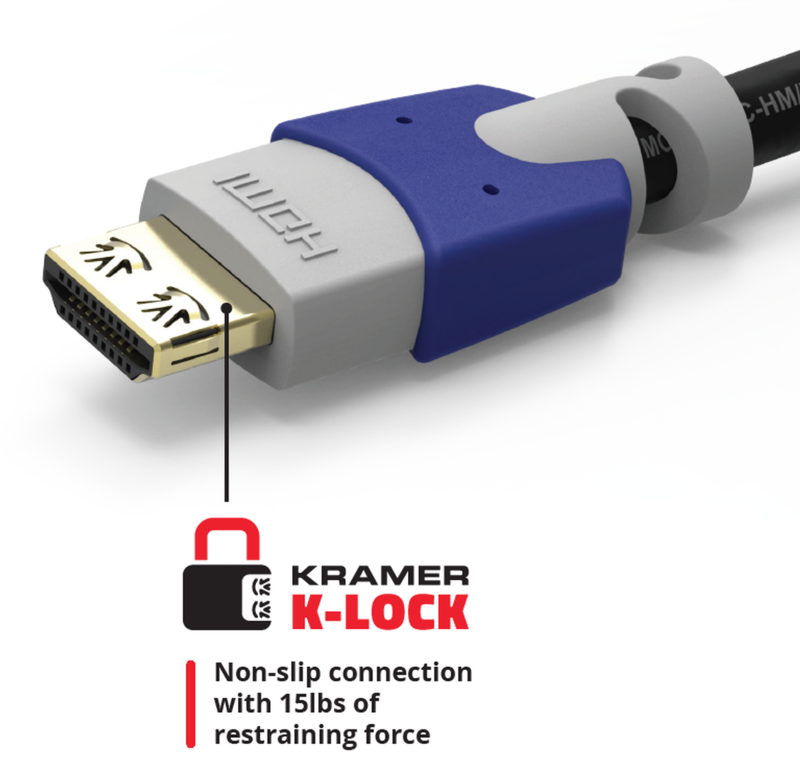 The C-HM/HM/PRO features 24K gold plated K-Lock pull resistant connectors, with up to 15lbs of restraining force resistance for a non-slip connection. This triple overall EMI/RFI shielded HDMI cable is ideal for connecting HD devices to HD/Full HD plasma/LCD, PSP3, Blu-ray, and HD DVD. 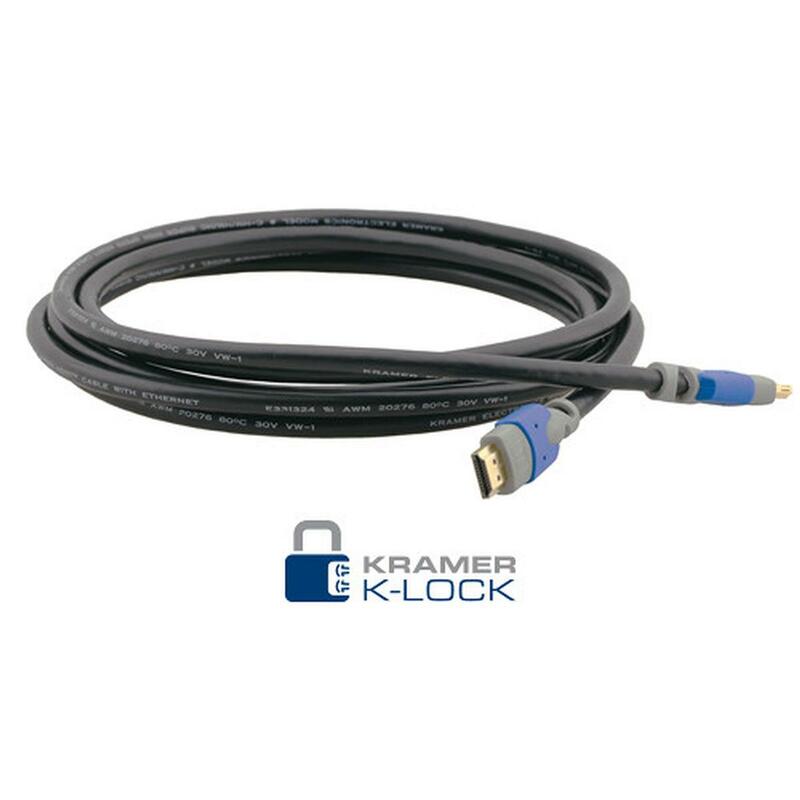 Coming with a 7 Year warranty backed by Kramer, these Pro series cables are robust and reliable for the most demanding applications, with outstanding stability, low skew, and high signal integrity.